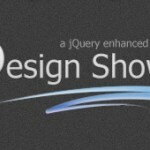 This Tutorial will teach you how to create such tooltips with some basic CSS and jQuery. For now we set the left property to -9999px to move the tooltip out of the view port. The rest of the CSS is only for styling purpose. â†‘ The target item is a variable we will define when calling the script.For example: to append the tooltips to all links in container #maincontent you would enter “#maincontent a”. The name defines the css class we use to style the tooltip. We use variables here for flexibility purpose so you can add diverent tooltips with different stylings. â†‘ This each loop will generate the code for every item that is found by our script. 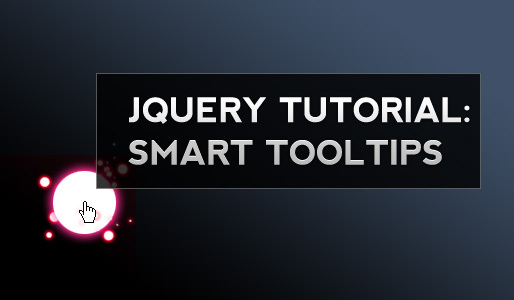 The variable i which we are passing in the function will be automatically incremented by jQuery after each iteration. This way we will be able to give the tooltips unique ids. 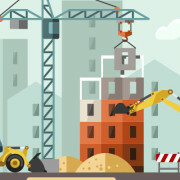 â†‘ This is the basic construct of our functions centerpiece. First of all we select the current link with $(this). Then the title attribute is removed since we don’t want to display the “normal” tooltip that every browser displays when hovering over links. As you can see we pass a parameter in mousemove: this parameter is very important since it stores the position of the mousecursor! On mouseover we set some css values for the tooltip: we define the transparency and set theÂ display to none. Then the div slowly fades in because of the fadeIn call. â†‘ Last thing we do is: we call the script as soon as the document is loaded. As mentioned earlier parameter 1 is the selector and parameter 2 is the classname of our tooltip. This way you can create multiple designs for your tooltips. The codeÂ we just created can be modified in various ways. I have used a modified version for images in a lately created showcase wordpress theme for Themeforest.net. anyway, i have altered some code for easier customisation and to stop some of the reported flickering. secondly, rather than using the nasty fadeIn, fadeOuts i have altered them to the following. they do the same trick as the fade ins and outs, but you dont get the nasty flickering and bugging. Hi,that’s a damn good checklist!any chance you could make it into a pdf for us all? I haven’t succeeded. Any suggestions? The php didn’t come through on my comment…sorry about that. And I was referring to your gallery theme which uses your modified tooltip. Brilliant blog and really can assist with comprehending the issue much better. i have my main container then my wrapper and containers within this section. Very nice article and a great read for beginners. I like your article very much. With your rich knowledge, we can learn more from your wonderful post. i know all about ftp and stuff i just am clueless with how to get the jquery bit done.